A trip to High Point Furniture Market for an interior designer is pure heaven! We get to see great new products, meet up with our trusted reps and gather new vendors from which to select products for our clients. The last blog entry focused on the new gold we're seeing in finishes and fabrics. The other big trend is a return to color. We're not talking about a few subtle shades, but big and bold jewel tones. By combining the jewel tones with softer versions of themselves or neutrals, the bold colors become a real sophisticated design element, rather than just a use of color for design's sake. Compared to Market last April, the color stories have been turned up and that's exciting! 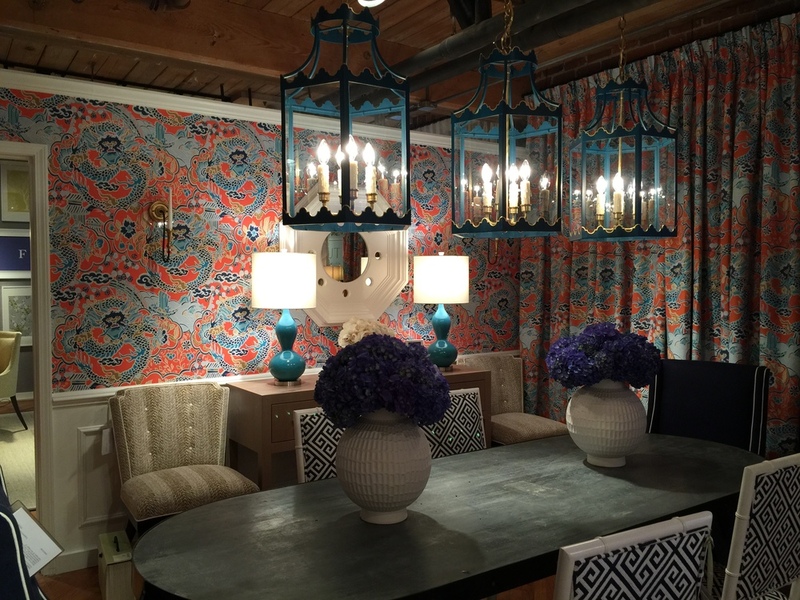 We're seeing color show up in many different incarnations - painted case goods, fabrics, lighting, accessories. Here are some of our favorite example of this bright and bold use of color. So, which color will you want to use in your next project? We'd love to hear your ideas! 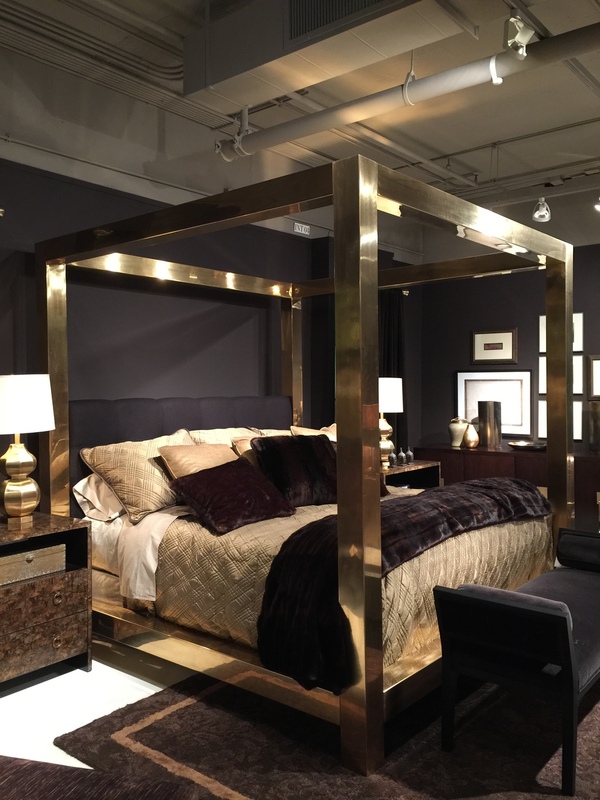 Twice a year tens of thousands of interior designers converge on Highpoint, NC to see the latest and greatest furniture, lighting and accessories at the Highpoint International Furniture Market. This is an opportunity for the design industry to see the new designs from top manufacturers and get a sense of where we are trending, in terms of furniture styles, colors, shapes, etc. Jason spent 6 days walking showrooms to hand select the lines he will be using to create his looks throughout the year. 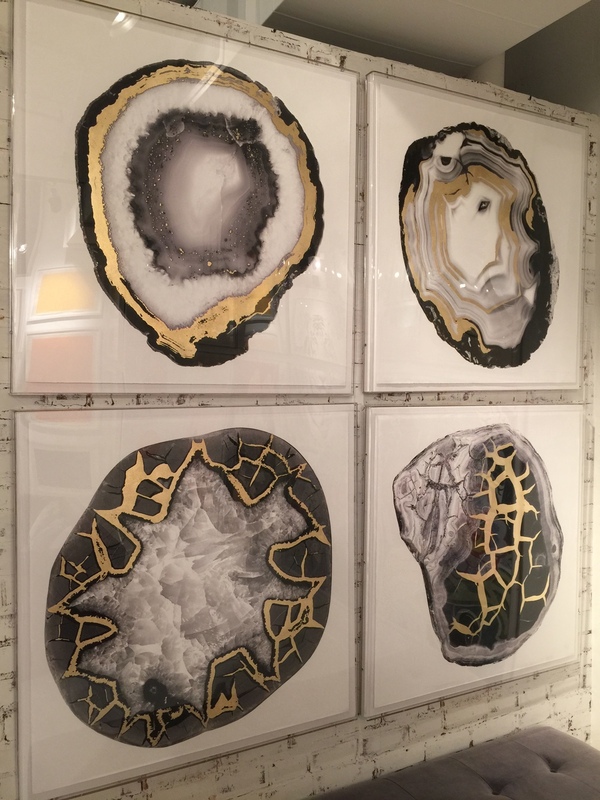 Seeing the products in person is critical to JASON BALL interiors. This allows us to see the quality of the pieces, evaluate the finishes, construction, and durability, and occasionally meet the designer or company owners. Building these personal relationships with the companies ensures that if problems do arise they will be taken care of with urgency and care. In walking the showrooms, it was clear there are some exciting trends coming up that will likely surprise the design community - marquetry, case goods with sculptural, hand-carved details, upholstering case goods and mixing textures and materials on the same piece. We also noticed that wood tones are darkening up from the lighter woods of the past couple of years. Here is just the tip of the iceberg in terms of what JASON BALL interiors saw at Highpoint. Here a beautiful dresser shows the type of hand-carved details seen throughout Highpoint, particularly on bedroom furniture. Compared to the casual feel of the furniture the past few years, these pieces have a certain level of formality. Could we be headed back to a style in which home furnishings are more traditional or formal? Only time will tell. An intricate, geometric patterned fabric is bordered by nickel nail heads in each door panel. The nickel pull in the center of each door adds a little extra bling. Graceful curves of this chest of drawers are highlighted by the two-tone look with a painted finish mixed with stained wood on the same piece. A fabulous headboard with inlaid woods in a geometric pattern - the grain patterns all flow towards the middle of the piece creating a beautiful, natural art piece. The small Bombay chest is with its asymmetrical flower motif over a lustrous silver finish keeps the piece from feeling too traditional. Perfect as a nightstand, dresser or hallway chest. Besides the painted and carved details, wood finishes are also becoming highly stylized and complex. Here a set of occasional tables are first stained a deep chocolate color followed by wiping the piece with a white wash. After wiping the white wash away, the lighter color is left in the deeper grain patterns of the oak, highlighting the beautiful flow of the grain. We've seen the use of mirror gain in popularity the last few years. However, these pieces are usually completely mirrored. The new trend seems to be mixing mirror with other materials. This stunning piece, with it's arabesque fret work and inset mirror is a real show stopper. We saw pieces in similar fashion but using metal and mirror. Notice the slight distressing of the wood and that same white wash treatment seen previously. The world of Highpoint International Furniture Market is an exciting one. There are new products to see, new vendors to meet and innovations throughout the exhibition. With some type of event or party nearly every night, this event is where the design community converges to stay connected. From all signs, especially in talking with designers from around the country, the interior design industry is in relatively good shape. It will be an exciting year in the world of interior design. Be sure to check back often for more exciting news from JASON BALL interiors.